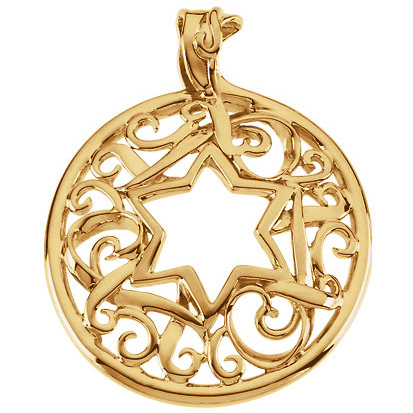 This large, fancy round Star of David pendant is made of polished 14kt yellow gold. Dimensions: 34mm x 27.5mm. Weighs 6.16 grams. Clearance, available while supplies last.